See that burned wire? Yeah, I see that a lot in these cases. Seems like something’s horribly, dreadfully wrong when really it’s just a burnt wire at the motor harness connector, and usually the neutral (white) wire. 3- it takes a professional appliantologist with hard-won real-world, but grossly under-appreciated experience to find this problem. And now you’re gettin’ it for free. Honestly, I’m not sure how I feel about that. Maybe you could buy me a beer to help me forget about it and move on to something else. Domo! 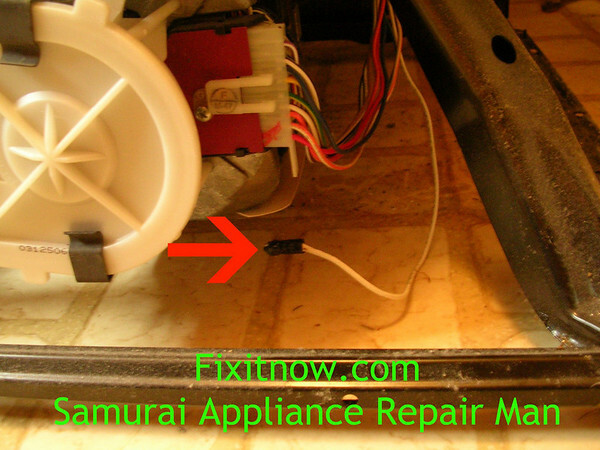 This entry was posted in Washer Repair on September 8, 2010 by Samurai Appliance Repair Man.